Small businesses should be afraid, very afraid. Especially if cyber security is a second, third, or fourth thought. Hackers are out there and the do not play fairly. They want your data, your money, and anything else they can get their electronic fingers on. While we hear about big business breaches on a regular basis, small businesses are more likely to get hacked. 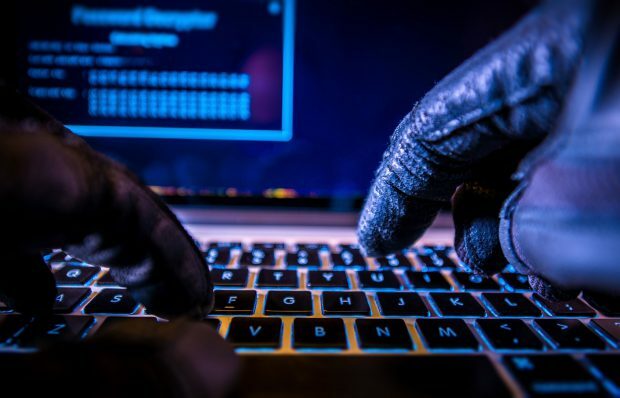 In fact, according to Verizon and their 2018 research, small businesses are the victims of nearly 60% of hacker attacks. While small biz owners think they are too small to be of interest, this couldn’t be farther from the truth. Why Small Business are Being Attacked. Because small businesses do not have the financial resources, they often fail to get necessary cyber security. So, they are incredibly vulnerable and hackers know it. Since hackers often work alone, they will go for anything they can get - even your small business. One area of small businesses that hackers appear to be targeting of late is the gift card market. The latest methods of the gift card game involve cyber criminals sending fake emails to victims to get them to purchase online gift cards. The emails look like they are sent from an employee who works for the business that is offering gift cards. But, in reality, the emails are completely fake - created and sent by the criminals. If the emails lure in unsuspecting buyers, the cybercriminals cash in, using the gift cards for themselves or selling them elsewhere. The criminals also gain access to the victim’s credit card information. When the victim finds that the gift card is no longer theirs, the victim and the small business lose out as their customer-business relationship is likely to end. What do small business owners do to avoid losing customers and to avoid being hacked? There are a few cyber safety issues that small businesses should institute, including enhancing cyber security throughout the business by using a third-party organization. All employees should use password protection with multi-factor or two-factor authentication. All employees should also be regularly trained - either in house or by the third-party group - regarding best practices for maintaining protection against hackers. When it comes to protecting your business and your customers against gift-card fraud, there are a few steps that help. One is to look analyze emails before responding to them. When cyber criminals send emails, they are often signs - like a Google email that doesn’t match the name of the person ordering gift cards. It is also wise for employees to have a policies that are designed to prevent hacking. Those policies should involve passwords, using payment cards, and protecting all pages on the small business website. To avoid gift card issues, many small businesses have begun assigning bulk gift card orders to one employee. This way, the employee can be trained to look for signs that the orders are not legitimate. Large businesses tend not to have issues with bulk gift card purchases because the designated employee knows when a cybercriminal is at work, but small businesses usually do not have the money for one employee to do that work. During the busy seasons - like the holidays, it would be wise to have one person do that job, even if it’s only temporary. Even if you’re not in those industries, you still could be targeted by cybercriminals. So, all businesses should heed warnings and upgrade their cybersecurity standards.